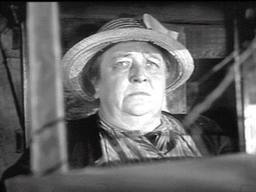 Ma Joad, from John Steinbeck's The Grapes of Wrath, is a strong main character in the classic American novel. If you choose to write a research paper on Ma Joad, you will want to do an in-depth character analysis on her. Paper Masters can help you write a Ma Joad research paper for any English 101 or above American Literature course. Ma Joad serves as the pillar of wisdom for the Joad family as the men and children look to her for answers to their most troubling questions. Ma Joad serves as Steinbeck’s mirror into the role of the mother and wife in the family at a time of great change in America. Ma Joad also serves as a moral authority for the family as the journey both literally and figuratively into the future. Ma Joad is actual a very complex character to write a character analysis on for a research paper. You will want to focus on both the superficial and the psychological aspects of the character of Ma Joad. Also, be sure to include how these two characteristics work together in your research paper. In the beginning of the novel, the children are the first to look to Ma Joad for answers to their fears of how the family is to survive: “What are we going to do, Ma? Where are we going to go?”. Steinbeck illustrates the importance of Ma throughout the novel as she serves as an indestructible pillar of stability. Even her physical presents give the impression of this stability as Steinbeck describes her as: “Heavy, but not fat; thick with child-bearing and work… her strong, broad bare feet moved quickly and deftly over the floor…Her full face was not soft; it was controlled, kindly.” Thus she possesses the quintessential motherly features and serves as a figure looked to for traditional, motherly wisdom throughout the novel. Paper Masters writes custom research papers on Ma Joad, from John Steinbeck's The Grapes of Wrath, who is a strong main character in the classic American novel.